“But how do I win?” That’s the big question, isn’t it? When it comes to awards, everybody wants to get as much information about how to enter and what is expected of them by our judges, so that HR professionals putting forward submissions have their best shot at taking home the trophies. And this year’s Human Resources Excellence Awards Malaysia is no different. Well, it’s a little bit different – for one, it’s free to enter – and it’s also the second annual HR awards, meaning the competition is likely to be a little tougher. While we have 20 categories to enter and some succinct guidelines to follow when preparing your entries, the one award which draws a lot of attention is our only award dedicated to an individual rather than a company or HR team – the HR Professional of the Year Award. Last year’s winner, Jenny Ooi of Agilent Technologies (pictured) won the judges over with her entry and subsequent face-to-face interview with our panel of judges. What did she do? We spoke to a few of last year’s Malaysia judges, as well as a few judges from our Singapore awards this year, to give you a better idea of what they’re expecting from your entries. Yeoh Sai Yew, group head of rewards and people services at AirAsia Malaysia, was on last year’s panel for this category, and he said it’s important what you submit is well-organised, easy to read and stands out from the crowd. This is an award where you are showcasing you level of knowledge, expertise and follow-though as an HR professional, so show the judges you are different from the rest. “Areas that would make any candidates stands out are the professionalism portrayed, originality and creativity including innovation ability, your level of passion in HR, your ability to articulate a bigger picture and strategic thinking, your level of accomplishments and the know-how to effectively execute them,” said Azaharin Abd Latiff, head of group HR strategy at RHB Banking Group, who was also on year’s judging panel. Lau Ying Cheng, cluster director human resources & organisation development at Infocomm Development Authority (IDA), who was a judge at this year’s Singapore Human Resources Excellence Awards, said your love for the HR function has to show through. “The HR Professional of the Year is not just someone who has achieved results for the business; he or she must also be someone that has a deep passion for people and it must show in every aspects of the entry, be it in writing or during the interview,” he said. Former judge Nael Islam, executive director human resources & OD at Singapore Tourism Board, agrees, adding that you need to show what you do is critical to the business. 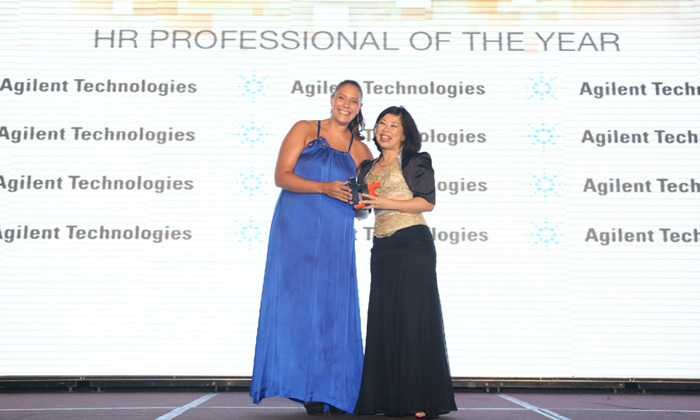 Tiffany See, executive director of human resources at Dell Singapore – also a former judge for this category – said you need to demonstrate commitment to HR as well as traits of inspirational leadership. “I was looking for a HR professional who demonstrated strong functional HR acumen, a level of business acumen, influencing skills and inspiration,” she said. So, do you feel a bit more prepared to get your entries together? Enter here! The region’s premier C&B conference is back! A Singaporean firm fired the Australian citizen after he posted a offensive message about Singapore, where the game is not availab..